CBR Conveyor Systems Sdn Bhd a original equipment maker company with an authorised capital of RM 200,000.00 an established in 24th Mar 1988. Our group of company was mainly dealing with Conveyor Design, PVC Conveyor Belt, Conveyor Roller & Conveyor Components. Beside of this, we dedicated to the advancement of design, fabricate, installation and commission of all types of conveyor systems. In particulars cases, all standard sizes is according to customer’s requirement. We are commited to providing a conducive and safe environment for our employees. We stressed the importance of good team-work, encourage innovation for quality improvement and strive for excellence. Our companies assure to supplies good quality products to our valuable customers with reasonable price, we are trust worthy and reliable with on time delivery. We have a series of marketing strategies which is in line with our business plan in order to understand the requirement of our customers needs and also support them by providing a good after sales services base on our dedicated and experience maintenance personnel. Holland Conveyor Belting offers a wide variety of tough high tensile belting with high resistant, thermoplastic PVC and PU covers and special high tensile polyester fabrics for low stretch, better tracking, elimination of rot, mildew and deterioration, thin and flexible for small pulleys and when bare surfaces at the bottomside an extremely low coefficient of friction for less drag on slider decks. Our R, or rigid fabric, has a heavy monofilament yarn running across the belt; it is this yarn which causes our belting to lay flat. Our N, or normal (heavy) duty fabric, incorporates flexible yarns in the weft, as well as high tensile warp yarns, enabling belting with this fabric to haul heavy, bulky goods in either a troughing or flat conveying system. Our L, or light duty fabric. Belting with this fabric can also run either in a troughing or flat conveying system. Our LR, or light duty rigid fabric, has a monofilament yarn running across the belt, which causes our belting to lay flat. Our C fabric has cotton fill yarns for moisture absorbtion and polyester warp yarns for strength and low stretch. Our conveyor belt types are usually supplied with (a) covers(s) or coatings(s) of PVC or Polyurethane. A wide range of colours, as well as durometers, and various profiled surfaces are available and on request we are able to make (the) belts in “your” colour, thickness and / or with “your” profile. Our PVC-OV types are oil and grease resistant; white (7) OV 65 has full FDA approval for use in handling food and related products; other PVC-OV types are particularly suitable for non-food applications requiring oil resistant belts. Our PVC-EX types are abrasion-resistant with high mechanical strength particularly suitable for agriculture and general applications, especially where the situation is abrasive. Besides conveyor belts with PVC-covers our programm consists also belts with the very high-wear resistant polyurethane cover, type conpur R 80 and the thermoplastic type(s) conpuryl. A conveyor is a system which is a frequently used piece of mechanized handling equipment that transfers material from one place to another. A conveyor is extremely useful in moving large and heavy materials from one location to another. Conveyor systems are popular and widely used in the material handling and packaging industries because they are quick and efficient in transporting a variety of materials. There are many kinds of conveyors available and therefore, different conveyors are used by different industries for different purposes. Conveyors are regularly used by many industries including the chemical, agricultural, electronic, and aerospace, computer, food processing, pharmaceutical, print finishing and packaging, bottling and canning and the automotive industry. Conveyors are widely used by a range of industries because of the various benefits that are provided by them. Conveyors efficiently transport products and materials to different locations or levels relieving industries from hiring human labour which would be expensive and laborious. Conveyors are simple, can be installed in most places, and are safer than forklifts or other machines which are utilised to transport materials. Conveyors can transport materials and products of all weights, shapes and sizes. 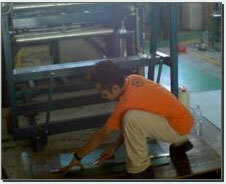 In addition to that, conveyors have superior safety features that help to prevent accidents. Conveying systems have a large variety of options to run the systems including, the mechanical, hydraulic and fully automated systems.